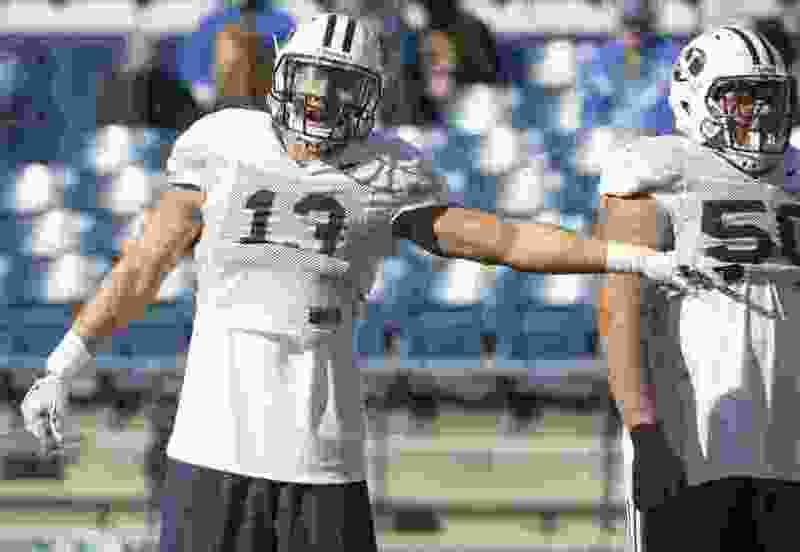 Provo • Troubled former BYU football player Francis Bernard, who is redshirting this season after running afoul of the school’s honor code, was arrested early Saturday morning on suspicion of DUI. Bernard, who played running back for the Cougars in 2015 and linebacker in 2016 before being suspended prior to the 2016 Poinsettia Bowl, was booked into the Utah County Jail and also ticketed for driving without a valid license and failure to have proper registration. According to jail documents, Bernard, 22, was booked at 2:30 a.m. Saturday and released 90 minutes later. Current BYU defensive back Marvin Hifo, 22, a senior who did not accompany the team on its trip to North Carolina, was a passenger in the vehicle officers pulled over around 1:10 a.m. near an apartment in Vineyard. Hifo was cited for having an open container of alcohol in the car and released at the scene. BYU athletics spokesperson Duff Tittle said Sunday morning that Bernard did not enroll for fall semester classes at BYU. He said the school would have no further comment. Utah County Sheriff’s Sgt. Spencer Cannon said Bernard was pulled over for the registration violation, and given a field sobriety test after officers smelled alcohol on his breath. His blood-alcohol contest was at .09 percent, slightly over the current legal limit of .08 percent in Utah. Bernard had not been formally charged by the Utah County attorney as of Sunday afternoon. Bernard has not been seen with the BYU football team for several weeks, according to several teammates. He did attend some games and practices at the beginning of the season in August and early September. His brother, James Bernard, told The Salt Lake Tribune in August that the Herriman High product wanted to transfer to rival Utah after BYU suspended him during training camp and asked him to redshirt in 2017. 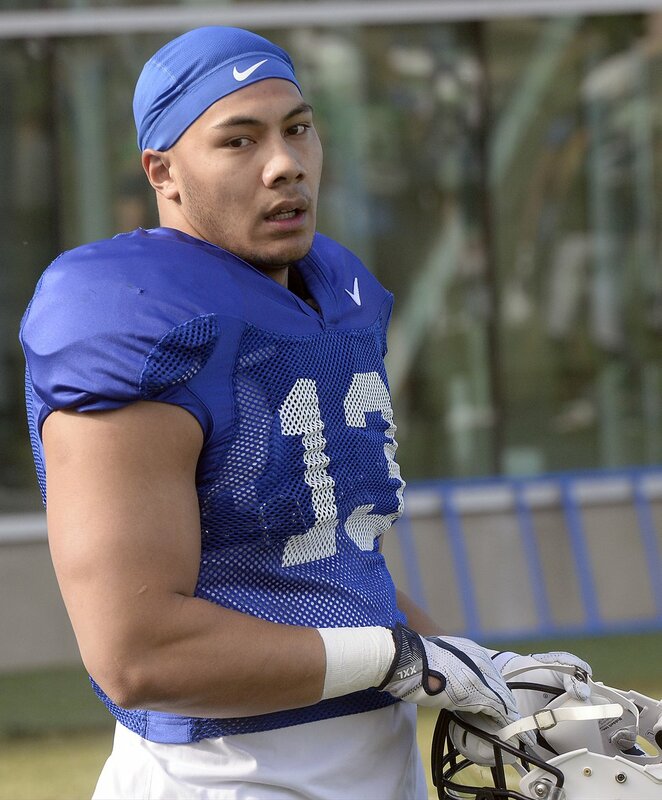 Al Hartmann | The Salt Lake Tribune BYU linebacker Francis Bernard is back at Spring camp practice Monday March 13 after being suspended during the Poinsettia Bowl. However, after meeting with several BYU athletic department administrators, Francis Bernard apparently chose to remain in the area and work through his problems. In late August, a video was released by the website MormonLeaks.io that shows a heated conversation between Bernard and Provo police officers in December of 2016. Bernard was found guilty in January of 2017 of noise disturbance stemming from an Aug. 14, 2016 incident, a class B misdemeanor. He was fined $150 and placed on probation, court records show. He pled guilty in April of 2017 to a charge of disorderly conduct, a class C misdemeanor, and paid an additional $150 fine from an incident that happened on Dec. 4, 2016. The charge was reduced to an infraction.